ST. THOMAS — Almost a year to the day after prosecutors charged Louis “Lolo” Willis, the former executive director of the V.I. Legislature, with multiple counts of bribery and extortion, a federal judge will decide today whether the prominent former official is headed to prison. Depending upon how presiding Judge Curtis V. Gomez chooses to interpret the sentencing guidelines, Willis could face at least a decade behind bars. The hearing marks the culmination of a trial that pulled back the curtain on a network of pay-offs and under the table accounting, which Willis orchestrated by leveraging his influence near the top of the power structure in the Legislature. According to the testimony of several witnesses, many of whom were participants in the bribes themselves, Willis solicited renovation work for the Legislature building in return for compensation – ranging from a $3,000 envelope of cash to a complimentary air conditioner – from the contractors on the projects. In a pair of dueling motions to the court related to the sentencing, Willis’ lawyer and the Justice Department prosecutors drew starkly different portraits of a man who now stands convicted of four of the six counts with which he was was initially charged. Defense attorney Daniel Cevallos, arguing on behalf of his client, made the case that Willis’ career in public service and his strong ties to his family are grounds for a lenient sentence of probation and community service. Cevallos also wrote that as the head of the Bureau of Internal Revenue, Willis ran the tax agency efficiently and helped plan the territory’s budget. In Willis’ case, Cevallos argued, he already is sure to pay a steep price. However, in a memo drafted in response to the defense, prosecutor Justin Weitz argued for an unforgiving interpretation of the sentencing guidelines and was unsparing in his appraisal of Willis. Willis was charged in May 2014 for the crimes. During his trial, three former contractors who did work at the Legislature – Wilson Johnmarie, Frank James, and Alwyn Williams Sr. – took the stand. 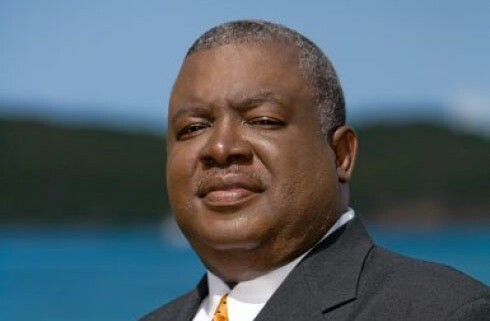 Williams was convicted of bribes and extortion related to his dealings with James and Williams, but the jury did not find sufficient evidence to convict him for transactions he conducted with Johnmarie. During testimony, James said he wrote a $10,000 check that paid for the repaving of Willis’s driveway. He also admitted to installing an air conditioner, valued at approximately $1,100 free of charge, in Willis’s house after he had secured a $2,100 monthly contract maintaining the air conditioning in the Legislature building. Also at trial, Alvin Williams Sr. said that he gave Willis a $3,000 envelope of cash before Willis hired him to remove overgrown tree roots near the Legislature building at a cost of $18,000. The soil excavated from the project created an artificial beach at the site, dubbed “Lolo’s Beach,” which then had to be removed, at a cost of $5,950, after the Department of Planning and Natural Resources declared the beach illegal. 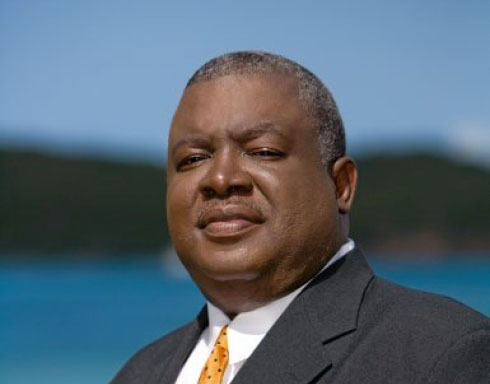 Willis also is awaiting trial in a separate case, in which prosecutors say he helped businessman Gerard Castor dodge at least $120,000 in tax liabilities. In March, Castor was sentenced to one year in prison, a $10,000 fine and 200 community service hours for tax evasion.